Portage collars, hoppis straps and carrying strings garner passing mention in the journals of many 18th-century hunter heroes. Some describe their pack straps, others refer to them in name only and are content to leave it at that. I recently made a leather portage collar for my daughter, and I documented the process in response to a number of requests from loyal readers for a “do-it-yourself” article on the subject. 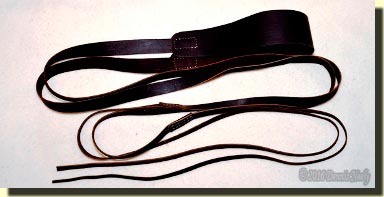 A brief discussion of burden straps, “Sorting Through the Confusion,” is posted under the “How-to” category. This is by no means a comprehensive treatise on burden straps, but perhaps it will stimulate some positive discussion. A separate page with a step-by-step construction guide for making your own leather portage collar is included for your enjoyment. 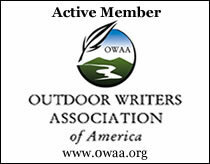 This entry was posted in Clothing & Accoutrements and tagged Black powder hunting, Dennis Neely, historical trekking, Mountain Man, Native captive, North West trade gun, Northwest trade gun, trade gun, traditional black powder, traditional black powder hunting, traditional blackpowder, traditional blackpowder hunting, Traditional camping, Traditional Woodsman. Bookmark the permalink.